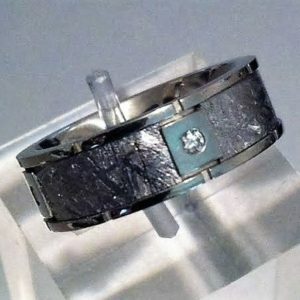 Meteorite lined in Platinum and White Gold. Platinum $3895, white gold $2495. Categories: Alternate Metals Rings (Couples), Alternate Metals Rings (Men), Meteorite, Rings for Couples, Rings for Men, Search by Style. 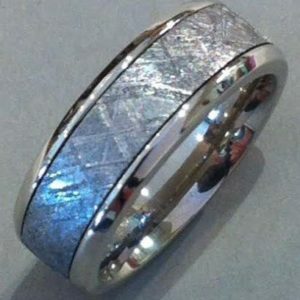 Tags: Custom alternative metals, Gibeon Meteorite Rings, matching wedding rings, meteorite rings for couples, Meteorite with Platinum. Meteorite lined in Platinum and White Gold, precious metals, the perfect union of treasures from the heavens with riches of the earth. 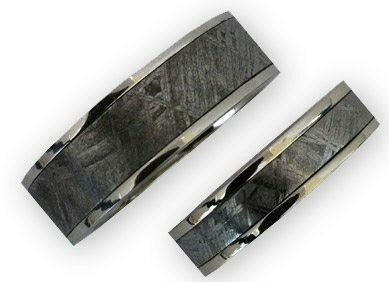 The Meteorite itself is a one-of-a-kind inlay that circles the ring. 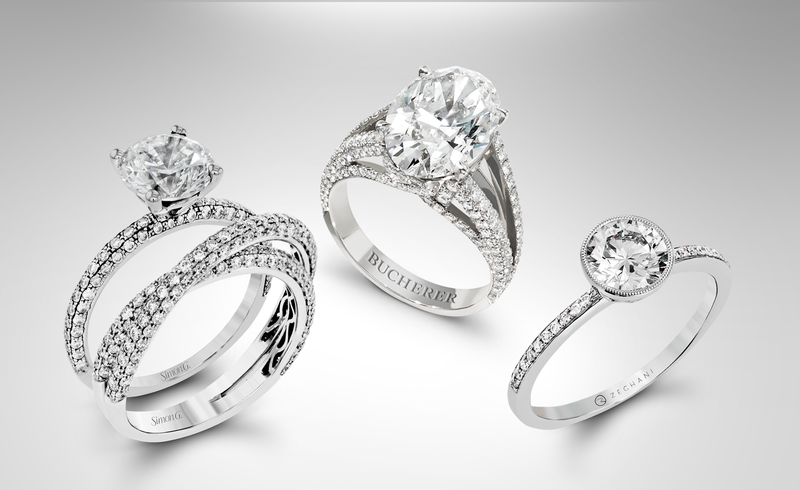 Platinum is $3895 while the white gold is $2495. Alternative metals are also available.